DAN MARCUM plans to retire Dec. 31 from his post as founding executive director of Tullahoma-based Southern Middle Tennessee Entrepreneur Centers (SMTEC), the ongoing role of which is to be determined. SMTEC aims to have a successor aboard prior to Marcum's retirement. Marcum's resignation date coincides with the terminus of SMTEC's accelerator contract with LaunchTN. In a brief interview with VentureNashville, Marcum said only that it's time for him to focus more on mentoring, family and leisure. The SMTEC board of directors' selection of Marcum's successor in the job, as well as some of SMTEC's future funding, are among truly strategic issues facing the nonprofit. 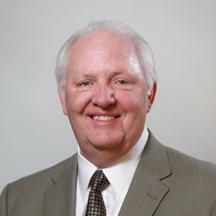 Marcum, 69, conveyed his plans to the SMTEC board earlier this month. At the same time, he pledged his continued strong support for SMTEC and its mission. Marcum told VNC that potential successors in the SMTEC executive directorship include, possibly among other candidates, SMTEC JusticeXL Accelerator Director Jerry Wright; or, startup mentor, former commercialization professional and long-time Monsanto executive Gary Rawlings, Ph.D.
LaunchTN is officially Tennessee Technology Development Corporation, TTDC, and was founded in 1998. Marcum served earlier in TTDC's history as the organization's chairman, and is credited by some long-time observers with having kept TTDC alive during periods of lean funding, a decade or so ago. Several sources told VNC that further direct LaunchTN funding for SMTEC -- and similar funding for the AccelNow accelerator in Tennessee's Tri-Cities area -- is only a remote possibility. However, they said without elaborating, other entities may step-up efforts to provide some related services in the multi-county SMTEC service area. 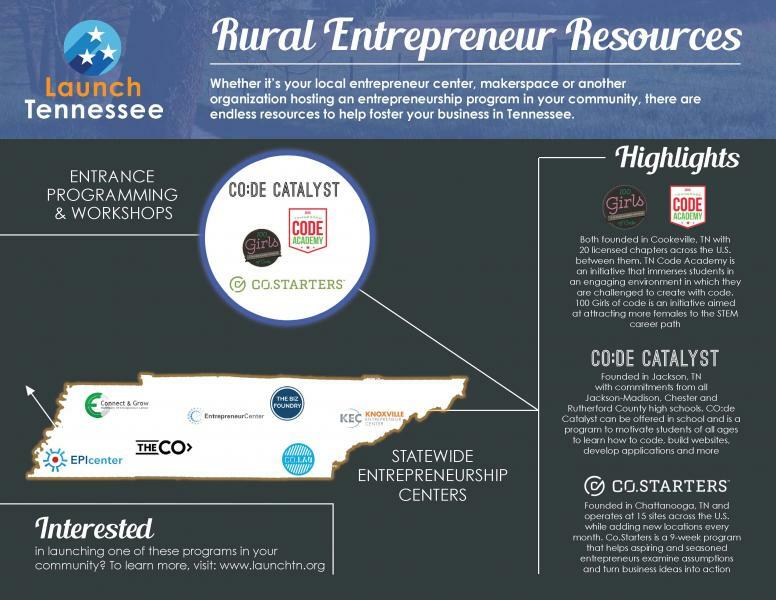 LaunchTN has been relatively mum on the subject of what comes next, but its website has begun touting a new Rural Outreach program, debuting in 1H2016. The map accompanying that material (above) shows only seven state accelerators, rather than nine, omitting AccelNow and SMTEC. Moreover, the accompanying schematic seems to suggest that the Tri-Cities and Tullahoma regions -- and other Tennessee Rural/Ag communities -- will be eligible to use training programs created by some of the remaining accelerators. That could also mean that LaunchTN's Rural/Ag efforts may integrate -- perhaps via ECD Assistant Commissioner Amy New, who holds ECD's Rural Development portfolio -- with Gov. Bill Haslam's Rural Development Task Force (announced in August); and, with AgLaunch, another Ag/Rural-oriented state initiative that is administered by Memphis Bioworks Foundation. On Oct. 15, Gov. Haslam, et al, announced creation of a Rural Economic Development Fund, details here. In any event, the situation could mean that -- for good or ill -- two of the state's nine long-standing economic districts end-up with no indigenous accelerators. That said, it should also be also noted that the number and location of the accelerators during the first term of Gov. Bill Haslam seems to have been done mainly on the basis of oft-invoked geographic parity, and to further ECD's decentralization of economic-development services, rather than on any explicit econometric basis. A path toward success, with estimates of industry sectors likely to be served by each region, was sketched-out. The gameplan was driven by former ECD Commission Bill Hagerty, who was succeeded earlier this year by Commissioner Randy Boyd. For much of the past year, representatives of LaunchTN, an agent of Tennessee's Department of Economic and Community Development (ECD), have told VNC that some plans for future accelerator funding, performance criteria and other factors remain under consideration. Elegant solutions seem earnestly sought by all parties. Perhaps inevitably, palpable tension and occasional discord have at times arisen in dealings between LaunchTN and some of the accelerators it monitors and helps to underwrite, according to sources familiar with the long-running situation. In response to another VNC query on the matter a month ago, LaunchTN's Jason Denenberg, who oversees the accelerators' contract performance and funding, told VNC, "We continue to work towards maximizing entrepreneurial support with the demand for such services across each region. It's critical that we reach every aspiring and current entrepreneur while being mindful of the dollars we've been entrusted with to do so. Our structure will continue to shift towards meeting said demand while working to capitalize strong opportunities from region to region - largely, sector focuses." 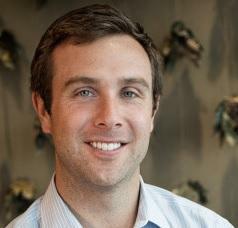 LaunchTN is led by CEO Charlie Brock, reporting to a board that is chaired by ECD's Boyd. The majority of LaunchTN's funding has historically come from the State, via ECD. Marcum told VNC that he intends to remain a member of the advisory board of Relevance Capital, which is run by CEO Fran Marcum, his wife. The Relevance portfolio page reflects transactions in 18 young companies. Earlier coverage of the Marcums is here and here. Relevance (fka Marcum Capital) led creation of still-active NEST-TN, a State-certified TNInvestco fund, one of 10 authorized TNInvestco funds, each of which garnered standup capital of more than $14MM for deployment in early-stage investment through the state's capital-formation program. The NEST acronym denotes the "Networking, Entrepreneurs, Seed capital and Technology" building blocks of accelerators.